Amid the pomp and circumstance of E3, it's easy to forget one of the expo's oldest and perhaps more core functions: to inform retail about the biggest titles heading to market. With that in mind, we caught up with GameStop in Los Angeles to gauge the company's reactions to the various revelations made towards the start the week. As usual, the bulk of the attention is on games due for release in the run-up to Christmas - the busiest time of the year for both the industry and the retailer. 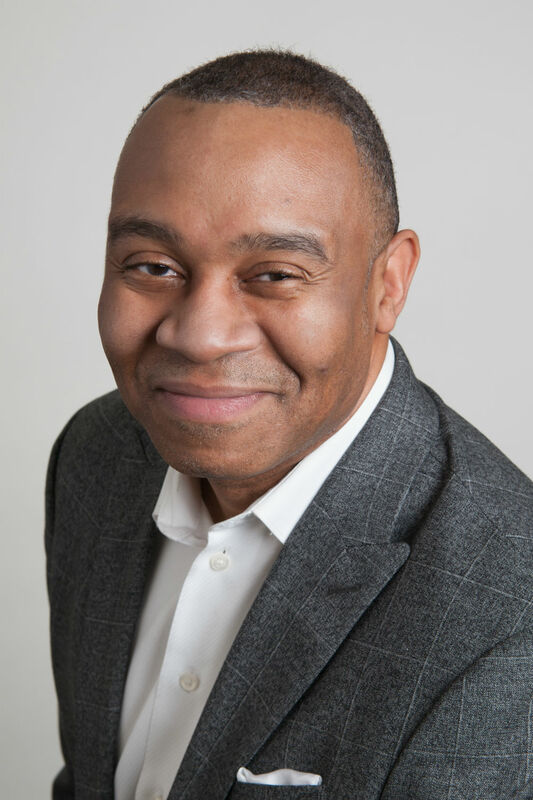 Vice president of merchandising Eric Bright tells us he's particularly pleased with the line-up for 2018's final quarter, in part because there is a solid spread of big and notable launches for the entire three month period. "I'm looking forward to an incredible Q4," he says. "You're kicking off with Call of Duty and going into Red Dead Redemption 2, then you have NBA and Assassin's Creed and Battlefield and then you're going all the way through December when you're ending up with Smash Bros and you've got Pokémon and Fallout 76 in November - that's a powerful holiday line-up." Nintendo, in particular, has benefitted from E3 2018 when it comes to grabbing the attention of GameStop customers, as Bright informs us that Switch sales doubled over the course of the week in the wake of the Smash Bros deep dive, plus ongoing enthusiasm for Pokémon. "Nothing beats Nintendo's overall announcements," he says. "Super Smash Bros is jumping right up to the top of the [pre-order] list. We're also seeing great reaction from Pokémon Let's Go, both SKUs, and then of course people are trying to get their hands on the Pokéball [controller] as well. He continues: "Nintendo fans are definitely reacting, but we're also seeing an incredible reaction from the tried and true franchises like Call of Duty. I think when they introduced their battle royale mode that spurred a lot of consumer interest; we're seeing pick-up from that." Of course Red Dead Redemption 2, arguably the biggest release slated for 2018, was entirely absent from E3. Yet from the sounds of GameStop's experience with pre-orders, Rockstar's next epic hasn't exactly suffered from shunning the Los Angeles spotlight. "Red Dead is going to be a top game of the year, hands down," Bright declares. "We had an exclusive Red Dead Collector's Edition that we put up for pre-order and it sold out in a day and a half. I mean, absolutely phenomenal interest in that game. It's Rockstar. Rockstar make great games." 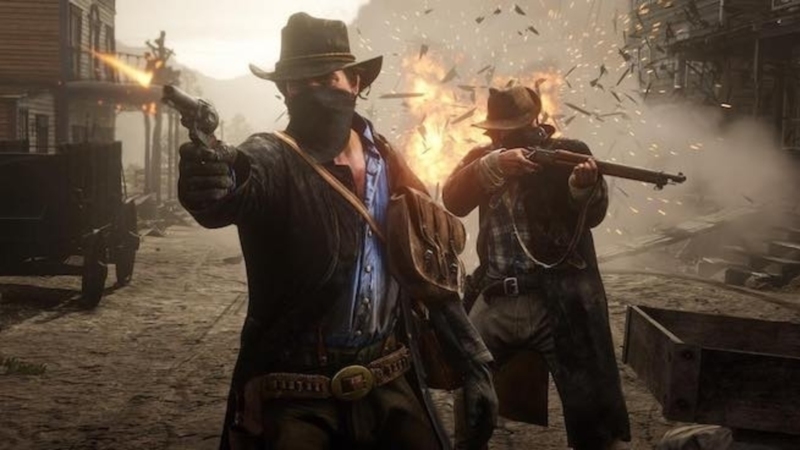 Rockstar's presence was seemingly felt by the publishers who did attend E3, however, as more games announced release dates much earlier than their usual window. Most notably, Assassin's Creed and Call of Duty are launching earlier than ever - by a full month, in the latter's case. Yet some publishers like EA and Bethesda have no fear in going up against Red Dead's October 26 arrival, with Battlefield launching a week before and Fallout 76 following just a fortnight later. Natually, no publisher has openly admitted they're avoiding head-on competition with Rockstar, but it's almost certainly a factor - although Bright offers another theory. "Part of it is that overall publishers have recognised for a long time that if they launch so close to the holiday season, Black Friday in particular, they're not really properly positioned to take advantage of a key promotional time period," he explains. "You have to remember that game production starts years ahead of time, long before they know that RDR2 or anything else is coming, so they're looking at 'how do I maximise sales of my video game?' And the best way to do that is to move it up earlier in the year. Therefore you're not launching a brand new game that you can't be promotional with around the Black Friday time period. No one enjoys that. So this allows them to have a great period of fantastic sales when the game launches." "Publishers have recognised for a long time that if they launch so close to the holiday season, Black Friday in particular, they're not really properly positioned to take advantage of a key promotional time period"
He goes on to say that longer development cycles mean more and more publishers are willing to release titles when they're ready, rather than aiming for a pivotal selling period. This, Bright suggests, is why we've been seeing stronger Q1 slates in recent years - a trend set to continue with the likes of Kingdom Hearts 3, Crackdown 3, Anthem, Days Gone, Metro Exodus and Tom Clancy's The Division 2 all arriving between January and March 2019. "You've got great titles coming out that entire time period," the GameStop exec says. "In fact I think it's one of the more popular times that I've seen. On average there's gonna be new titles coming out every two weeks." It's a potential solution to the Q4 stampede that has made the closing months of the year so competitive for so long. Pushing games into winter and spring should mean fewer commercially disappointing launches for anything other than the established big Christmas sellers like Call of Duty and Assassin's Creed, but it doesn't solve another ongoing problem: the summer drought. Once again, retailers face a span of months without heavy hitting blockbusters to lure people into stores. Arguably the last massive release was April's God of War (and that's a platform-exclusive) and the next title likely to cause the most excitement is Spider-Man (another exclusive, both from Sony) on September 7. It's an issue that continues to bewilder GameStop. "Consumers' salary in June doesn't really differ too much from their salary in November and we would love to see more regular deliveries of content all throughout that time period," says Bright. "There was a time in which we had NCAA Football that kicked off in June or July. That was a great summer game. Right now there is a void, but I think it's only a matter of time as developers are now seeing that January, February, March works extremely well; you will start to see the summer months start to fill in. But with development cycles, as you know, that takes time." What offsets the summer decline are those long-tail games-as-a-service titles. Bringing the conversation back to E3 2018, it's interesting to note that some of the biggest games on the show floor are those that have already been released. 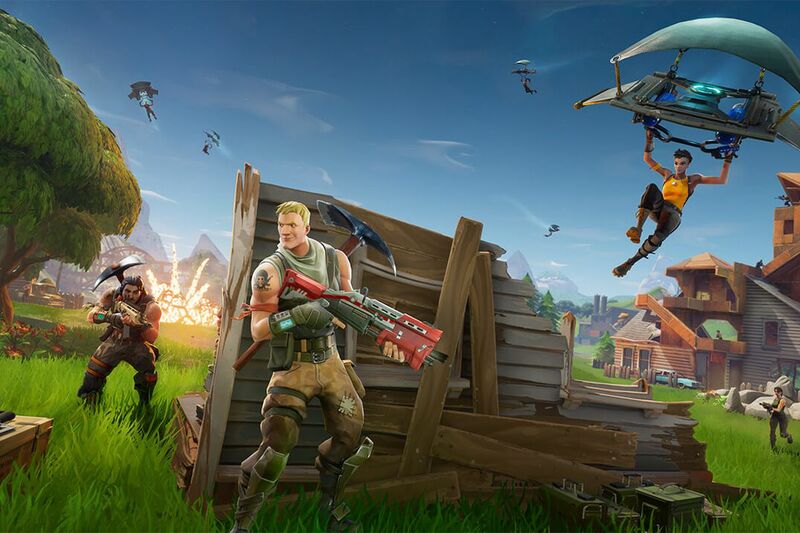 Epic Games, for example, dominated the South Hall with its GamesIndustry.biz award-winning Fortnite booth, and Bright tells us this matches the excitement for the game in stores. "We're seeing huge increases in our traffic for headsets and controllers and digital, as people are coming in and purchasing digital subscription cards, digital currency, so they can go home and play Fortnite," he says, adding that bricks-and-mortar stores benefit more from games-as-a-service titles than you might think. "We do about a billion dollars in sales of digital - that's consumers who are opting to come to a physical location to pick up digital currency. Either they're an [underage] customer or a customer who doesn't like utilising their credit card, but they're coming in because what they see is that in order to buy their digital goods they're using either cash or trade to make that purchase. So that's an absolutely re-occurring and growing revenue stream that we're seeing. And while there they're picking up an extra controller, they're picking up a headset, they're picking up accessories that go along with it." The "incredible Q4" Bright is eagerly anticipating will no doubt go some lengths to restoring faith in GameStop. The retailer has been beset by a string of unfortunate circumstances that have seen it go through several CEOs (both interim and seemingly permanent) since its long-running chief Paul Raines - described by Bright as "an incredible leader and a dear friend" - left at the tail end of 2017 and has sadly passed away. Since then investors have urged the firm to review its retail strategy and, just days after our conversation with Bright, GameStop confirmed it is potentially looking to sell its business. Yet the search for a new CEO continues; former Xbox boss Shane Kim currently sits as the company's interim chief exec, but Bright says GameStop hopes to find a CEO that can "focus on GameStop today and throughout 2020, 2025, 2030 [and so on]." "In the meantime we have a dynamic leader who's going to be able to help us navigate all the waters as we move forward," he continues.